In a few words: A good time was had by all! “I love gardening, country living, and learning lessons from God’s creation. And this is what Cultivate is all about… and more! "I came to Cultivate to learn more about growing things and God’s plan for agriculture as well as network with likeminded people. This is indeed what I experienced. I learned so many new and amazing things, particularly about the science of the soil. What was especially inspiring to me was to see how God is truly teaching people today how to work the soil - and the soil of the heart - so that it will yield its treasures. "Cultivate conference was a great motivator for us. Life begins in the soil and getting the soil right is a key to healthy plants. "No matter how much one has done gardening, Cultivate made one realise that there is so much more to learn. Seeing how other families have done it or are doing it and learning from each other and sharing with each other was also a big plus and a highlight of attending Culitivate. "The only down side of Cultivate was that we would like to have attended EVERY meeting in EVERY stream, but having the different streams really helped us to be able to choose lectures that really met our needs and interests. "Gardening is one of the most rewarding things to do in life and there is no greater joy than serving a meal "all from the garden!" "Cultivate 2017 was a huge blessing to me and my family in that it laid a foundation under our feet that we did not know was missing! "We discovered the true science of God's design for soil to be the foundation of our health when underlying deficiencies and unbalances are addressed, just like our own personal need to allow God to correct our underlying character faults so that He can bring forth good fruit in our lives. "Exciting stuff! A growth journey with God"
Did I Enjoy Cultivate 2017? 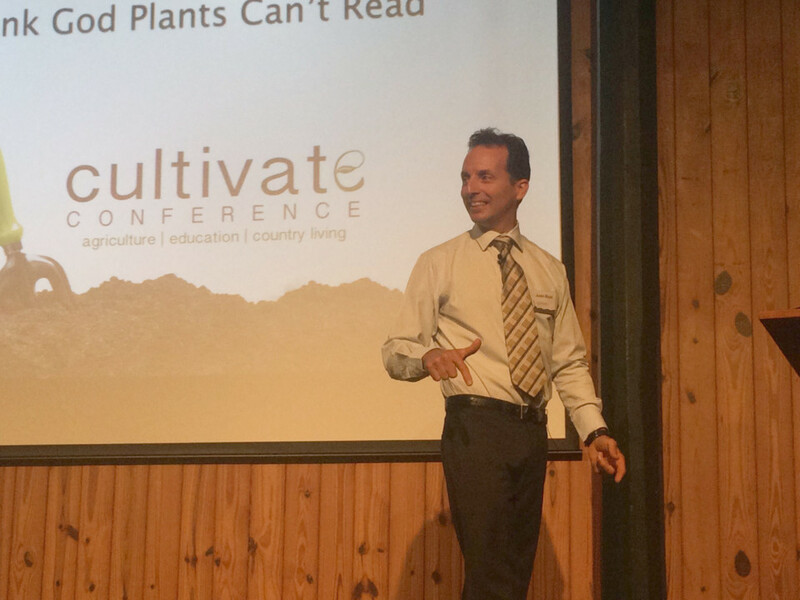 Yes, I did enjoy the first Cultivate Conference… it was a great opportunity to learn many new things about how to grow food successfully, following God’s principles, as well as a time to relax and catch up with friends new and old! Nice memories of interesting presentations, great food, and a beautiful beach for a morning and evening walk. I have to confess though, that sometimes (maybe often?) I learn new things, but tend to be a bit slow to put them into practise. Well this time the conference did rub off on me more than some of the training events I have attended from the past … so my garden looks quite different this year. Rows that are more manageable, tools that are so much more efficient (like the stirrup hoe), and finally I have put some time and effort into irrigation systems. Yes, it is relaxing to hold a hose, but if you are serious about a home garden then that tends to take just too much time, especially during these drought-like times we are in. Of course it has helped that we have finally moved to a new area that has great soil. Last year at Cultivate I attended the market gardening stream (very interesting and informative), but I would have liked to have attended all of the streams. 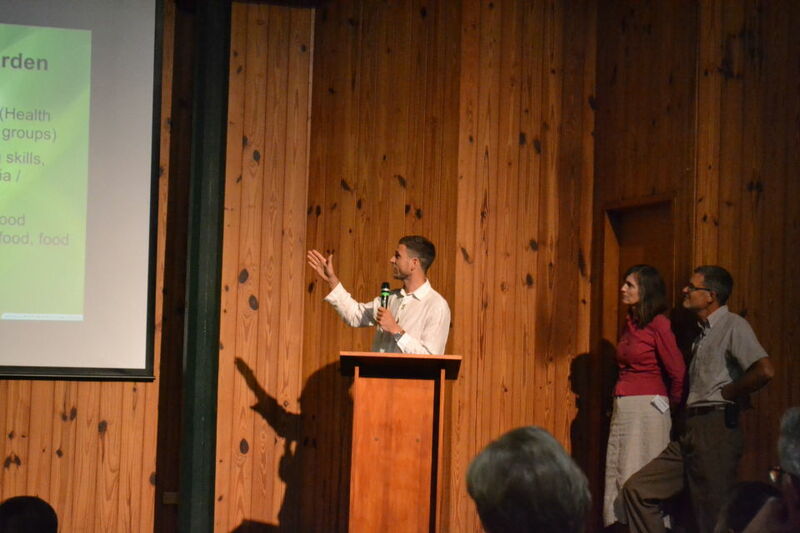 I’m thinking this year I will attend the soil health sessions, to start to rev up plant growth and health a bit more. While I am mentioning the training streams, I think it is worth saying a quick “thank you” again to our international brothers and sisters that flew in to help us last year. 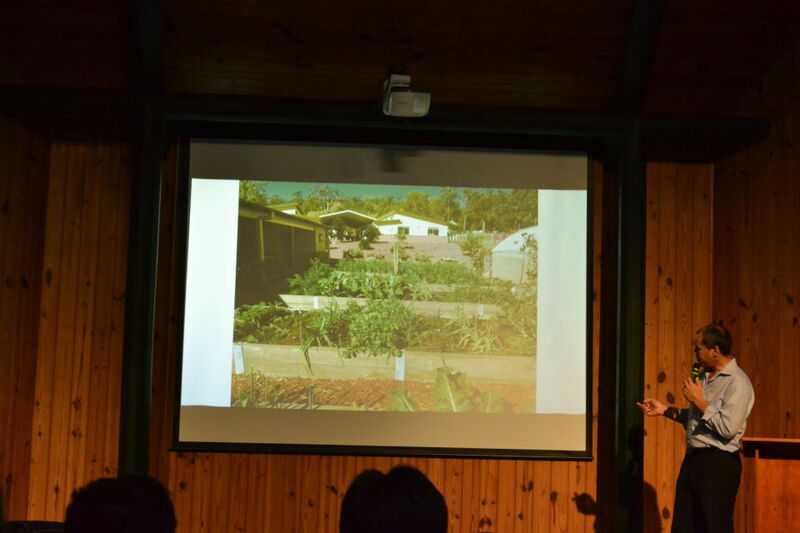 Research and development in small scale productive gardening has unearthed a world of new discoveries, knowledge, techniques and systems, so it is a real privilege to have experts in the area come all that way to share with us… but also to hear the Godly principles behind what they are sharing, as well as personal testimonies on what agriculture has done for them and their families. Testimonies about blessings like character growth, opportunity to behold God’s power in the garden, and the health that comes with outdoor work. Many of you are aware of a quote written a long time ago, where it was said that “Fathers and mothers who possess a piece of land and a comfortable home are kings and queens”. It has taken me a long time to realise that this doesn’t just mean “living in the country”, but also having a functioning garden right now. I suspect many of you realise that the food we get in the typical food retail outlet is not anywhere near as fresh as what kings and queens are eating. So it seems fair to me that to live like a king or queen in the country means taking advantage of its treasures… and of course we know that this is also part of the remedy for sin, to work by the sweat of the brow. There is a time of trouble ahead where we will not be able to buy or sell, so let’s be home food production experts now! Praise God He promises that our bread and water will be sure, but praise Him also for giving us a part to act that helps us in our journey to the promised land! So anyway, I just wanted to write this little piece to encourage you to come along this year to the 2018 Cultivate Conference at its beautiful Yarrahappinni location, where I am sure you will find many blessings, important and useful information, friendly people, and an encouraging spiritual environment. And don’t forget to tell your friends about it. 7:00 - 8:30 Main Meeting: John Dysinger - The Seed Has Germinated, But What Will Be the Fruit? 11:45 -12:45 Main Meeting and Close: Darren Greenfield - The Great Commission Enhanced! Our seminars are arranged in subject streams to cater for special interests. Each is designated as being a Beginner Class, an Intermediate Class, or an Advanced Class, but you are welcome to attend any Seminar at any time. You can choose to follow a single stream, or to pick and choose any seminar or workshop from any stream! Rod and Desley Bailey operate The Eastward Garden (the agriculture arm of Eastward Missions) with their youngest 3 children in Rollands Plains, NSW. 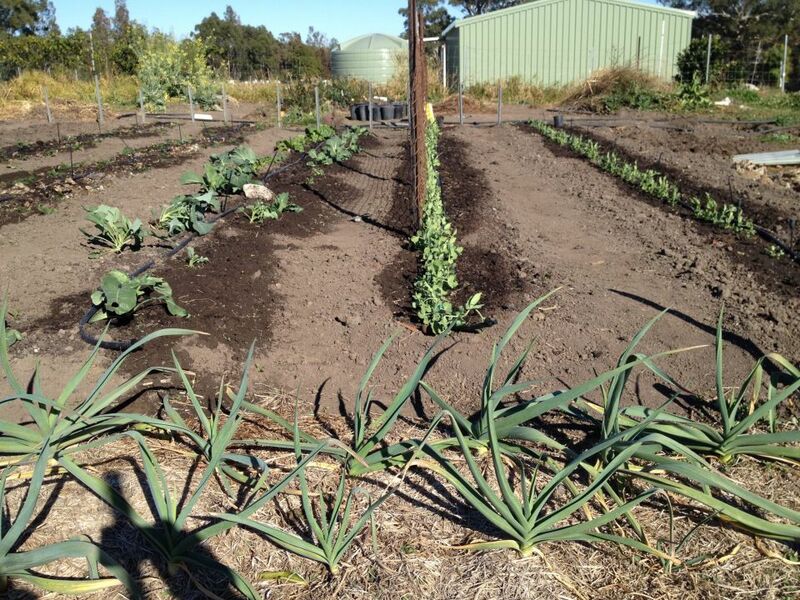 They sell their veggies at a weekly market in Port Macquarie, and directly to families in their region. Coming to market gardening late, they have been greatly blessed by the wealth of experience and practical information of past AdAgrA conferences, and desire to see the Adventist agriculture movement take off in Australia. John and Pam Dysinger have had the amazing privilege of raising their family of five children on Bountiful Blessings Farm in Tennessee, USA. For the past 20 years their family has worked together growing organic produce and supplying CSA’s, Farmer’s Markets, Restaurants, and wholesale accounts. 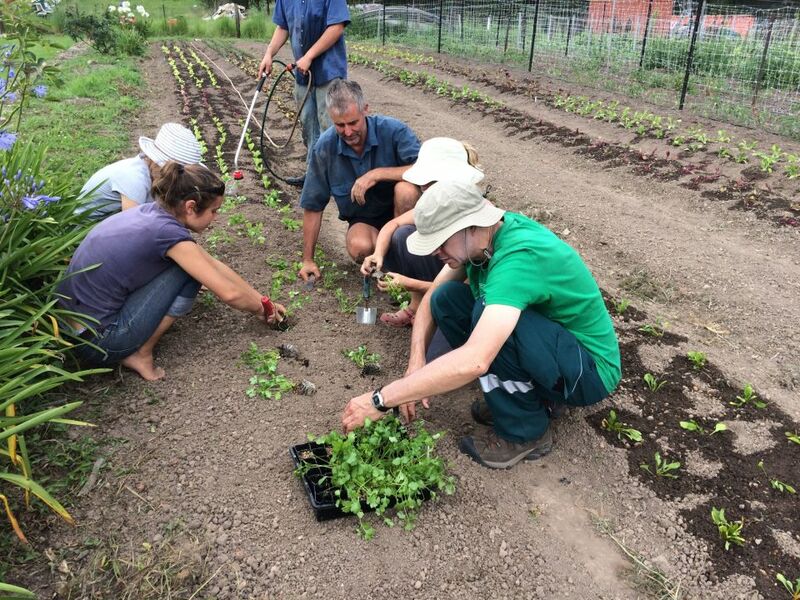 Although they love the challenges and rewards of growing healthy food, their passion is encouraging others to experience the blessings of an agrarian life. John and Pam have been involved with the Adventist Agricultural Association (AdAgrA) since it’s germination. Edwin and Jennifer Dysinger have been family farming with their children, in partnership with Edwin’s brother John and their family, for the past 10 years at Bountiful Blessings Farm in Tennessee, USA. Previously they worked for 16 years doing community based development work in Africa and the Middle East. They recently returned from an exploratory trip to Tanzania and Uganda where they plan to spend most of next year setting up farms for orphanages. Edwin works with his son Paul on his online organic garden training (BornToGrow.net), and is involved with the Adventist Agriculture Association (AdAgrA) in the USA. Justin and Yvette Epps moved to the country in 1998 to a secluded off-grid haven surrounded by National Park. Then, in 2007, God called them to be rid of their mortgage, leading them further afield to a bush property on the western slopes of the Snowy Mountains near Tumbarumba, NSW. They are again off-grid, and currently owner building. Justin is a qualified horticulturist with a background in urban horticulture and organic farming. Yvette's background is in biological science, and left that career to homeschool their two children, Lucinda (19) and Josiah (15). Darren Greenfield farms at Weimar Institute in California USA, and also teaches agriculture. His passion is to see agriculture return to God’s intended position as foundational to true education. 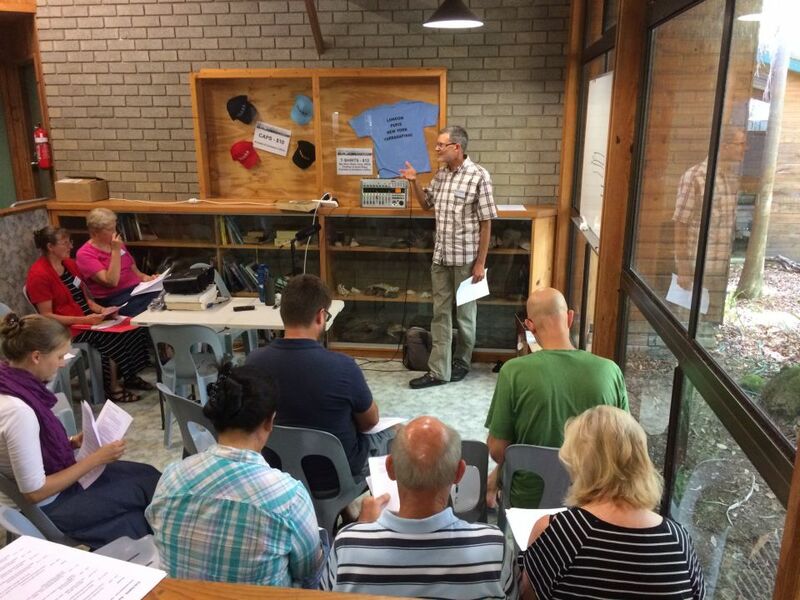 Originally from across the ditch (NZ), Darren is currently Chairman of the Adventist Agriculture Association (AdAgrA). Tim and Andy Hopkins (TAndy) love all plants, but especially prickly ones and trees - VERY tall trees! Hailing from the professed Promised Land of Victoria, TAndy have turned their parent’s small property in Launching Place into a veritable Garden of Eden, planting a huge variety of trees and other plants. Their favourite pastimes are climbing the giant Sequoias near Warburton, picking and eating pecans, and selling truth filled literature door to door throughout Australia. Tim and Andy lead Eastward Mission’s Youth Canvassing teams. Rodney McCallum was a farmer and grazier from Warrumbungle in NSW, but who was later called to minister to Muslims in the US where he has been based in Detroit, Michigan, and then to Islamic communities in other locations around the world, including Australia. Whitmar McConnell, along with his wife Lisa and their family, has been growing veggies using complete and balanced fertility for 25 years. They grow intensively and use several different climate modification techniques to extend the season and improve quality and yields. Currently Whitmar is in his fourth year of developing a new farm in Kentucky USA, while also doing soil fertility consulting for other farms. Ian Mot studied a Batchelor of Agriculture at the University of Melbourne with a focus on soil fertility, plant pathology and plant nutrition. He is a passionate gardener at several market gardens, and is beginning a career in agronomic farm services. Alex Murchison is an electrician and jack of all trades who loves putting his time and skills to work helping people in the community. He lives with his family in Rollands Plains, NSW. Will Pullen and his wife Rachel grow organic bananas and avocados just up the road from our Conference venue, including some new trees planted by the "EGW method". A second generation grower, Will markets his exceptional fruit exclusively at a Sunday market in Port Macquarie, and has developed an extremely loyal customer base. Will and Rachel are very active in their community and local church. Theressa Wood and husband Paul (and four boys) praise God for recently blessing them with a 'home among the gumtrees' in Collombatti, NSW. Theressa is a very passionate gardener who is happiest when she has dirt under her fingernails! Currently the family team is working together settling in an new orchard with plans for a decent family-sized vegetable garden soon.